Not everything goes as per plan. Sometimes, certain unforeseeable circumstances lay waste to even the most perfectly-made plans. Imagine planning a holiday with your family for over a month. When the day arrives, you’ve loaded the luggage in the car trunk, and find that a while later, the keys to your trunk are nowhere to be found. A simple error, can threaten to throw your entire schedule out of balance. 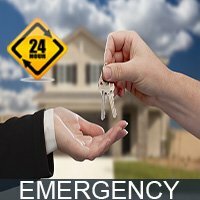 And that’s exactly why such circumstances demand a special locksmith – an emergency locksmith, who can arrive to your aid right away. 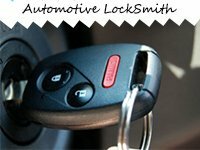 AtYonkers Lock And Locksmith, we have a specialized emergency locksmith division to cater to clients caught up in such unprecedented emergencies. Ever-ready, quick, and available 24/7, our team will help set things back on track in no time. Trusted by the Yonkers, NY community, and relied upon for our unwavering service during such critical times; you can be sure that when you reach out to us for help, you’ll receive the assistance you need, delivered in quick time. We know that having to wait for hours at a stretch for the technician to arrive and start working, especially during emergencies, shows a clear lack of professionalism. Distance is always a constraint when it comes to provision of services – but not for us! What sets us apart is the dedication and focus we bring to the job. We’ve always been on a spree of never-ending expansion in order to build a strong presence in the Yonkers, NY area. This ensures that we report at the place of incidence in short timeframes and solve complex lock & key emergencies for our customers onsite. 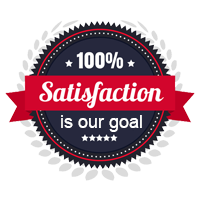 When a distressed client calls us, we know that there’s not a moment to lose and waste no time in making lengthy enquiries. All we need is your location, and we’ll dispatch a fully-equipped mobile workshop to that location in less than 15-20 minutes. You might be locked out of your car in a deserted location or require immediate assistance post a burglary. Our vans are loaded with all the tools we need for the job and our technicians are armed with the necessary knowhow. No matter what the situation, we’re always at the ready to tackle it and provide a swift resolution. Unlike a few other firms, that exploit individuals caught up in stressful emergencies, we believe that it is times like these that demand quick and affordable services. We understand how any delay in availing help further complicates the situation, and in a few cases, may also expose you to uncalculated risk. That’s why, all our emergency solutions are delivered with zero added charges because we don’t want you to think twice before picking up the phone and calling for help. Facing an emergency? Let the pros at Yonkers Lock And Locksmith deal with it! Call us now!